This article first appeared in the August/September 2016 issue of Your Pregnancy magazine. Abnormalities that your baby has at birth are known as birth defects or congenital disorders. Some, such as clubfoot, are immediately visible, while others only show up later in life. Some, such as congenital heart defects, may be hidden. Here we discuss some common abnormalities at birth. About 9 weeks into pregnancy, the separate parts of the baby’s upper lip and palate join together to form the lips and the roof of the mouth. When these parts don’t join together, clefts or gaps are formed. A cleft palate and cleft lip can occur together or separately. About one in 700 babies is born with a cleft lip and/or palate. Every case of cleft lip and palate is different. Surgery is usually needed to repair the cleft, and professional help with speech and hearing may also be necessary. The Smile Foundation offers facial surgery and treatments. Contact them on 0861 ASMILE (276 453) or visit smilefoundationsa.org. Cleft Friends is a parent support group. Contact 071 201 6085 or 082 393 1206 or visit cleftfriends.co.za. In most cases, the Ponseti Method works well. This is very specific gentle manipulation of the baby’s foot and ankle, from when the baby is two weeks old. The manipulation is done slightly differently each time, to stretch different parts of the foot. A full plaster-cast (groin to ankle) is then applied to hold the foot in position. Most clubfeet are corrected within four to six sessions. After the casting phase, the baby wears a brace at night until age 4. Steps offers support and education for families, and info on clubfoot diagnosis and treatment. Contact them on (021) 462 7357 or visit steps.org.za. Spina bifida means “split spine”. It’s a defect that happens to the baby in the womb when the spinal column doesn’t close all the way. In serious cases, parts of the spinal cord and nerves may poke through the open part, causing nerve damage and other disabilities. No one knows for sure what causes it. Taking folic acid as a supplement before and during pregnancy can reduce the risk of having a baby with spina bifida. Folate is a B vitamin (B9) found in green vegetables such as asparagus and broccoli, liver and kidney, nuts, lentils and seeds, and oranges. Folic acid is the synthetic form of the vitamin. In South Africa, staple foods such as wheat flour and maize meal are fortified with folate. For children born with spina bifida, treatment depends on the severity and position of the defect. In some cases, no treatment is required. In more severe cases, surgery is needed, as well as treatment for bowel and bladder problems. Contact the Association for Spina Bifida and Hydrocephalus South Africa on 083 440 1907 or visit asbah-sa.org. Also see: What is a foetal specialist scan? And do you need one? Down Syndrome happens when something goes wrong at conception with a chromosome, which is a structure in human cells that carries genetic information. About one in 500 babies is born with Down syndrome, but this figure increases in older mothers. Babies with Down Syndrome look slightly different to other babies – they may have a rather flat face with a small nose, small skin folds on the inner corner of their eyes, and broad hands with short fingers. They often have intellectual disability and other health problems involving their heart, thyroid, gastrointestinal tract, vision and hearing. Surgery and medication, hearing aids and spectacles can help with some problems. Children with learning difficulties may need extra help at school. Congenital heart defects (CHDs) are problems with the structure of the heart. These are the most common birth defects (one in 100 babies) and the leading cause of infant death. So far, 47 different CHDs have been identified. Some are very severe, while others are so mild they may go unnoticed. “A surprising number of babies are born with little holes in their hearts that just close over time,” says Andrea Slater, whose son Hudson died of a CHD at four months old, and who is now the driving force behind The Hudson Initiative, a campaign to make South Africans more aware of CHDs and to introduce compulsory testing for newborns. Although some babies may be diagnosed with a CHD during the pregnancy or at birth, sometimes the diagnosis isn’t made until months or even years later. The earlier CHD is detected and treated, the more likely the child will survive with fewer long-term health problems. Successful treatment may require highly specialised care, and more than half of children born with CHD will need at least one surgery in their lifetime. Severe CHDs are very expensive to treat, and can put terrible strain on families – patient/family education is an important part of successful coping. Contact The Hudson Initiative on 060 689 0169. In South Africa, only about 50% of women without medical aid get antenatal care during the first 20 weeks of pregnancy. This means that many conditions can’t be picked up early enough to diagnose or treat. No test is 100% accurate in detecting birth defects, although these are useful. Ultrasound: An ultrasound done at 11-14 weeks of pregnancy measures the fluid-filled space at the back of the growing baby’s neck. A second ultrasound, done at about 20 weeks, may detect major structural or physical birth defects. Blood tests: Maternal serum screening measures certain chemicals in the mother’s blood and indicates if additional testing is necessary. 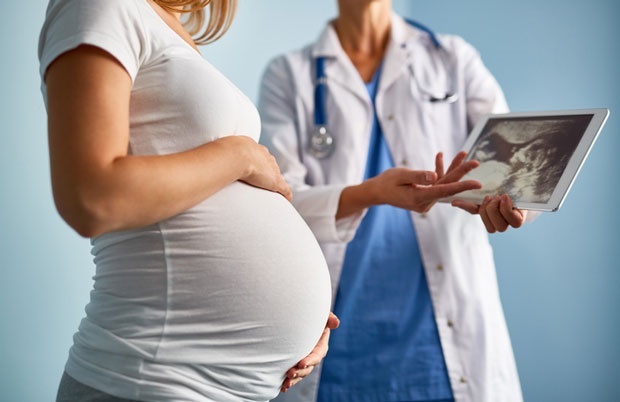 Non-invasive prenatal testing (NIPT) examines the DNA of the growing baby and identifies any concerns. Amniocentesis: A hollow needle is inserted into the womb to extract amniotic fluid, which is screened for abnormalities. These tests are not routinely available in all South African hospitals. If any serious problems are detected, women should talk to their doctor about their options.